This year represents the 50th Anniversary of the release of the Seiko Astron, the world’s first quartz watch that went on sale to the public on Christmas Day 1969. The development and release of quartz technology altered not only the watch industry but consumer electronics and modern technology in general. 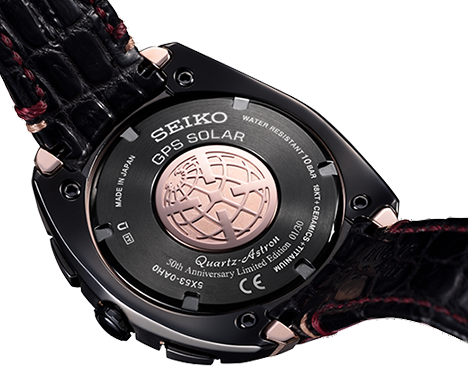 The Astron was seen as such a significant milestone in the history of watches Seiko chose to name their new series of solar GPS watches released in September 2012 after it. To commemorate the 50th Anniversary of the original Astron Seiko announced two new models that will be released only to the local Japanese marker. Both model utilize the new 5x53 movement that was released at the end of 2018. This new movement is smaller and thinner and has improved reception and daylight savings time support. The 50th Anniversary models are available in two variations. The first is the SBXC036 that has a composite case made from 18K pink gold and titanium evoking a modern futuristic design. While there is no clear connection to the design cues of the original Astron, when released in 1969, it was also considered to have futuristic styling. The gold portion of the case is lightly brushed while the titanium portion has a mirror like polished finish with a black DiaShield coating. The bezel is made from zirconia ceramic and has 50 facets for the fiftieth anniversary. On the case back there is a 18K pink gold medallion and text indication this is an anniversary model. The case is paired with a crocodile strap. 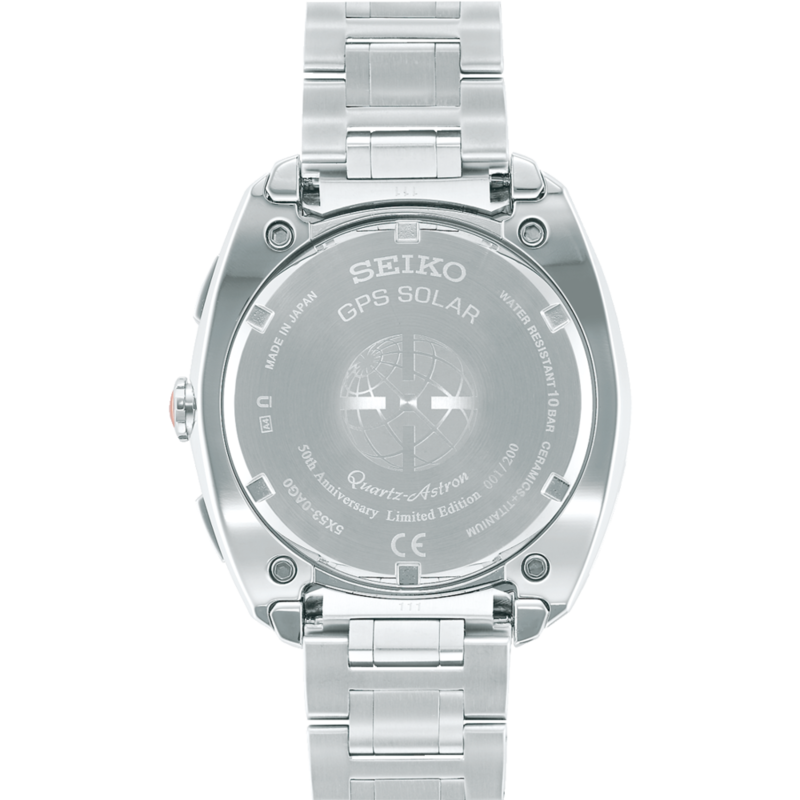 The second anniversary model is the SBXC035 and this differs in the case materials used. 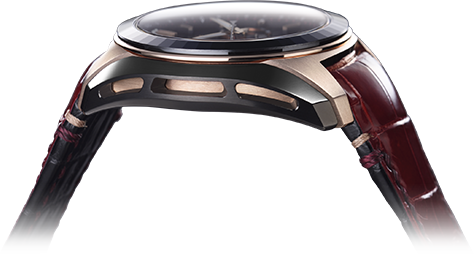 The watch has a full titanium case and has both brushed and polished surfaces like the other model. A titanium bracelet with tri-fold clasp is fitted to the watch. There is a pink gold colored bezel made from a ceramic and metal composite “cermet” and has 50 facets. Both models have quartz crystal shaped indices and a dial pattern that depicts resonating quartz crystals. In addition to these Anniversary models there were four non-Limited edition general models that have the same case styling. These have been released under the family name of Revolution and currently seem to be JDM releases only but I would be surprised if this case style did not expand to other markets in the future. The models in this series are essentially different colorways with either a crocodile strap or bracelet and slightly different case finishing materials. The quartz crystal theme is reflected in the dial texture and indice design. These models appear to have only a small connection to the original Astron and obviously the general styling is completely different. I do hope that these are not the only commemorative models for the 50th Anniversary of what could arguably be considered the most influential watch in the industries history. I hope to see at least an additional release later this year.